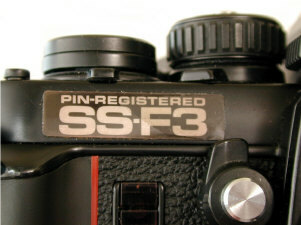 Pin-Registration 35mm cameras provide extremely accurate film placement, shot after shot after shot. 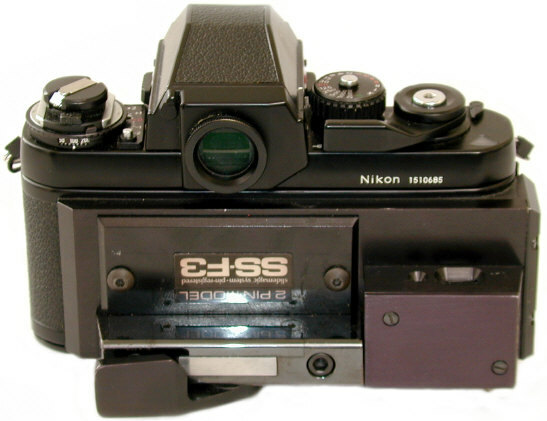 Uses include shot by shot animation for movies, and professional multi-projector slide shows. 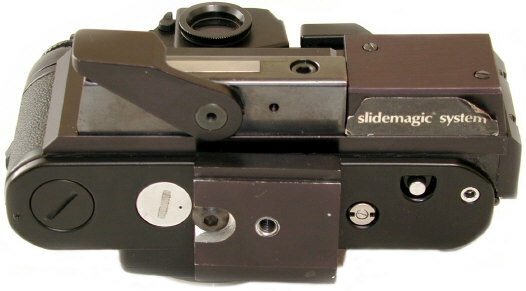 The SlideMagic pin registration cameras were converted by Maximillian Kerr Associates, apparently of New York, from the copyright notice on the "SlideMagic Grid 1A" in this camera. The original owner told me the selling price in the 1980's was in the $2500 range. 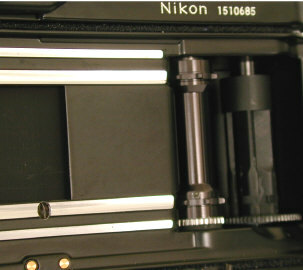 The lever on the film back locked two tabs into film sprockets, insuring repeatable film registration. Pull the lever out and then advance the film. Then lock the lever down to lock down the film. 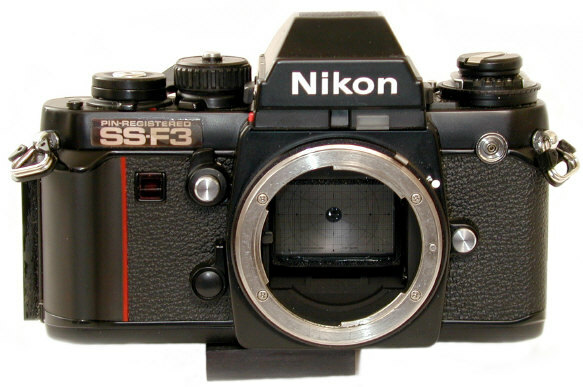 The added silver gear mates to the film counter on the film back, which went to 999. 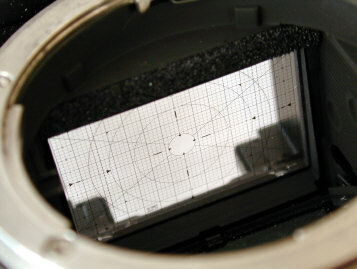 The 2nd shot shows the glass screen pattern placed below the focusing screen, for precision film placement. Production numbers are not known, but probably number less than 1000 considering how rare these cameras are, possibly less. 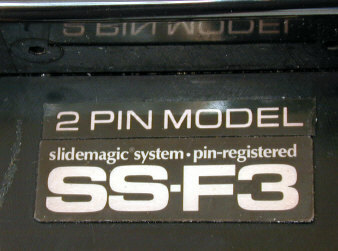 SlideMagic also produced a Nikon F2 Pin Registration conversion. Revised: November 26, 2003 . Copyright © 2003 Stephen Gandy. All rights reserved. This means you may NOT copy and re-use the text or the pictures in ANY other internet or printed publication of ANY kind. Information in this document is subject to change without notice. Other products and companies referred to herein are trademarks or registered trademarks of their respective companies or mark holders.